It’s getting warmer here in the Northern hemisphere, which means it’s racing time for a lot of us. When the weather gets warmer, many runners start to think more about getting faster for those summer 5Ks and half marathons, which means it’s time to add speedwork into the mix. 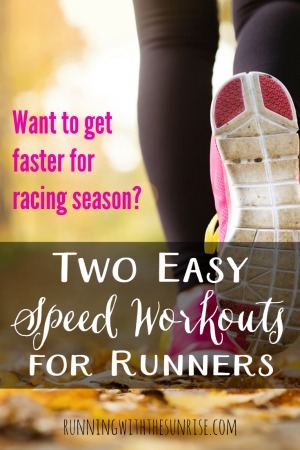 Here, I’m sharing three easy speed workouts for runners to help you get ready for the races you have on your schedule. These are easy enough that newbies to speedwork can do them, but are effective enough that veteran runners can benefit, too. Disclaimer: Always talk with your doctor before starting any fitness routine. Although I am a running coach, I’m probably not your running coach. Check with your coach or trainer if you have any questions about your training. First things first: if you’re a beginner and you’re new to speedwork, I would suggest starting with some speedwork workouts designed for beginners to slowly introduce you and your body to running faster. If you’ve been running some of the gentler speedwork workouts for a few months and are ready to move up, give these workouts a try! You only need a watch for this workout. Begin by warming up with some easy jogging for 10 to 15 minutes. Once your body is feeling nice and warm, alternate 5 minutes of running at 5K pace + 25 seconds (thus the name, 5 by 5) with 3 minutes of light jogging. End with 5 to 10 minutes of jogging as a cool down. Sound easy enough? Repeat the intervals 3 to 5 times, depending on where you’re at in your training. If you’re new, start with 3 repeats. Runners who have been running intervals for a while can start with more repeats. As your body gets used to the intervals, add more repeats. Not sure what your 5K pace is? Enter recent race times into the McMillan Calculator. If you don’t have any recent race times, run a mile time trial, where you run a mile as fast as you can. That will give you a baseline for where your fitness levels are at. Or, just run the intervals at an effort of 7 to 8 on a scale of 1 to 10, where 10 is an all out sprint. There’s a famous Frank Shorter quote, “Hills are speedwork in disguise.” If you live in a hilly area, definitely take advantage of the terrain! If you don’t live in a hilly area, you can simulate running uphill on a treadmill. Again, start by warming up with 10 to 15 minutes of easy jogging. Then, start running up your hill, again working at about an effort of 7 or 8 on a scale of 10. If you’re using a treadmill, start at around a 5% incline for a minute or two of running, then gradually increase the incline as you get stronger. When you get to the top of your physical or virtual hill, either jog back down to the bottom of the hill or change the incline of your treadmill to 0% for a nice, easy jog for a minute or two. Once your breathing has returned to normal, start another hill repeat. Aim to finish 5 to 8 repeats in each hill workout. Again, runners who are new to hill repeats and speedwork should start with a lower number of repeats, and you can increase the number of repeats that you run as you get stronger and your body gets used to hill running. Don’t do too much too fast or you’ll risk getting injured! 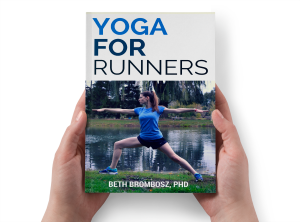 Looking to get faster for an upcoming race? Try these easy speed workouts! Did you find this post helpful? 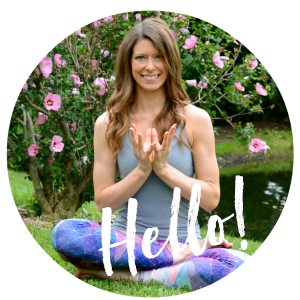 Sign up for my free newsletter to get training and other healthy living tips sent directly to your inbox! Runners: how often do you do speedwork? Do you ever run hill repeats? What’s your favorite workout to get fast? We don’t have hills, you crazy. Can I do this in a boot? Great tips! Maybe I could do those hill workouts in a parking garage? I am trying to stay off the treadmill until winter! Hill repeats are so terribly fun 🙂 I love to hate them! Me too. Hate doing them when I’m in the middle of them, but you do get really good results! Great tips! I’m going to use these for sure. I’ve been trying interval running lately and I really like it! Thanks, Kristen! Intervals are such a great way to get faster, and I personally love having interval workouts that I can do anywhere, not just on a track. Hope you find these helpful! This is coming at such a good time! I’m heading out the door in just a few hours to work on some speedwork 🙂 it’s such a necessary evil. Thanks for the reminder! Same to you, Jill! Have a lovely weekend! I love speed work and I’m always looking for new speed workouts. Thanks for sharing!